A lonely, isolated bridge is the setting for this dramatic yet subtle black comedy. Three strangers: an accountant, an actress and a librarian find themselves on the same bridge on the same day with the same intent of ending it all. As secrets and pasts are revealed, who will jump and who will fly? And will they save each other before they save themselves? Strawberry Blonde Curls are a theatre company based in the Northwest of England. This production of Elastic Bridge has previously been performed at Unity Theatre, Liverpool and the Lowry, Salford and marks its London debut at the Tabard Theatre. 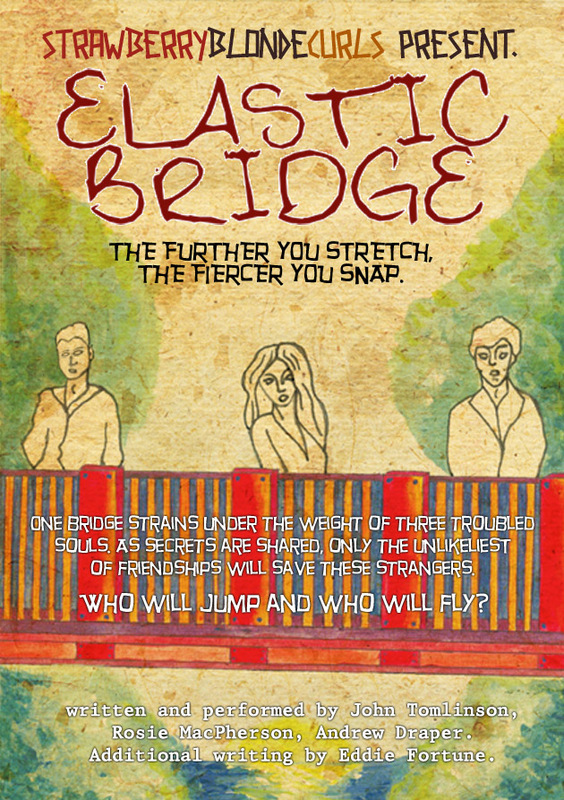 Elastic Bridge is a raw, high energy, tragi-comedy seeing how far people will go before they will eventually snap. BackstagePass readers are entitled to a special price of just £10 for performances on Tuesday 31 January and Wednesday 01 February. To take advantage of this offer, just quote "Eclairs" at the Box Office, or on the website if pre-booking.